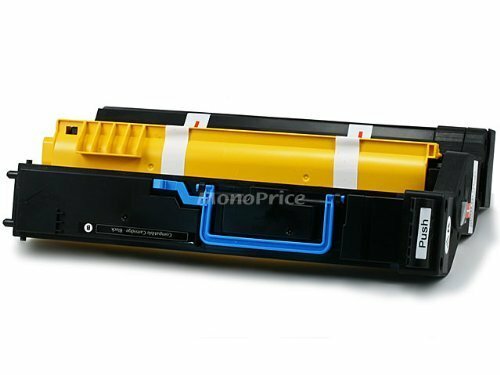 Monoprice is pleased to offer our line of High Quality, Premium, Remanufactured toner and drum cartridges designed to deliver the highest performance and value possible. Remanufactured cartridges are different from recycled or refilled cartridges, commonly referred to as, “drill & fill.” Drill & fill operations merely top off empty cartridges, but do not check critical components such as drums, gears and wipers. A remanufactured cartridges on the other hand, are completely disassembled, worn out parts are discarded and then remanufactured like a new unit. Some of the critical aspects of the remanufacturing process that ensure that they perform as well as OEM are as follows. Unused toner in old cartridges is discarded. Toner that was not used in a cartridge are particles that were not able hold an electrostatic charge and would be useless. Drums are resurfaced and refinished to eliminate blemishes and give it a renewed magnetic surface. It is the drum that transfers toner to paper so it is the most critical element to image quality. Worn out wipers are replaced. Snags and nicks in the wipers can lead to streaks and blotches on the printed pages. Finally, other worn out and damaged parts are replaced. Even most OEM’s have a policy of remanufacturing returned cartridges at least once. Using remanufactured cartridges reduce waste, protect the environment and save you money. *Monoprice continually strives to improve its product line to bring our customers the best products available. Therefore, changes may be made to listed specifications without prior notice. Item recieved may not match photo or specs shown. If you have any questions about this product by MPI, contact us by completing and submitting the form below. If you are looking for a specif part number, please include it with your message.